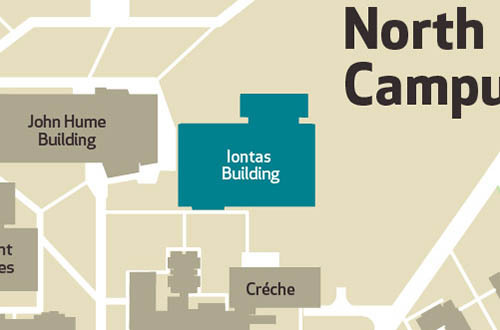 The Department of Media Studies is located on the ground floor of the Iontas Building, North Campus. Welcome to the Department of Media Studies, Maynooth University. Students in the department of Media Studies at Maynooth gain experience in critical analysis and media production, emerging as creative and informed graduates with the tools to engage in media research and production across the public sector and private industry. We offer a BA in Media Studies (combining critical studies, digital practice and film and TV production), and an MA in Critical and Creative Media (accepting applications from January 2017). We also offer MLitt and PhD research degrees. Fáilte go dtí an Roinn Staidéar ar na Meáin, Ollscoil Mhá Nuad. Cuirimid BA i Staidéar ar na Meáin ar fáil (céim a chuimsíonn staidéar criticiúil, cleachtas digiteach agus léiriú scannán agus teilifíse) agus MA sna Meáin Chriticiúla agus Chruthaitheacha (glacfar le hiarratais ó mhí Eanáir 2017). 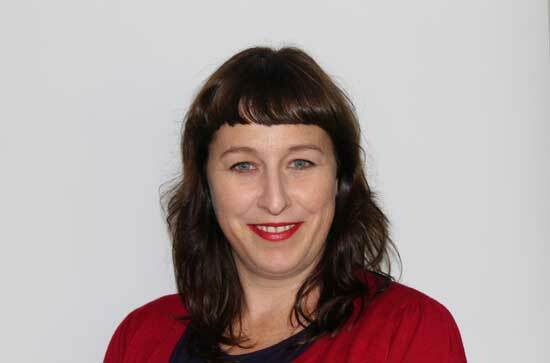 Cuireann an Roinn céimeanna taighde MLitt agus PhD ar fáil freisin​. Tá bród ar Institiúid Scannán na hÉireann (IFI) agus ar Ollscoil Mhá Nuad a fhógairt go bhfuil Cartlann Scannán na hÉireann, IFI @ Ollscoil Mhá Nuad oscailte. The notion of female Trump supporters as being ‘internally sexist’ could be understood as a form of sexism in and of itself, according to Dr Sarah Arnold, Maynooth University Department of Media Studies. Staff in the Department of Media Studies have wide and varied research backgrounds and interests.